One size does not fit all! simplehuman custom fit liners are designed to fit each of our trash cans perfectly so there is no messy bag overhang or bunching — and they never slip. 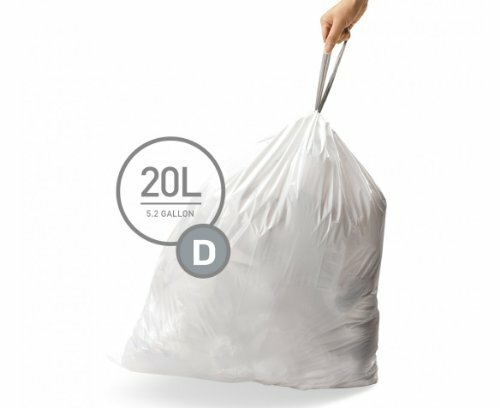 With extra-thick plastic and double-seam construction, simplehuman’s tear- and leak-resistant garbage bags are extra strong so they hold more, which means fewer trips to throw trash out. Strong drawstring handles make these liners easy to lift, tie, and carry.